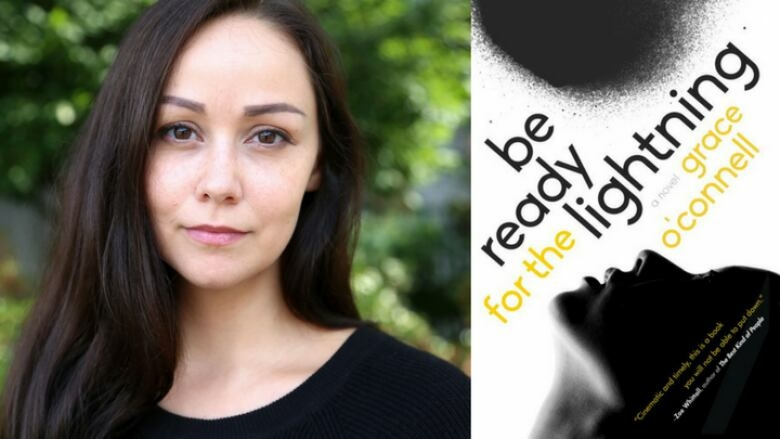 The Toronto-based author discusses the inspiration behind her novel Be Ready for the Lightning. Toronto-based author Grace O'Connell won the Canadian Author Association's Emerging Writer Award in 2014 and teaches creative writing at the University of Toronto. Her latest novel, Be Ready for the Lightning, is the story of a young woman named Veda who has to summon inner strength she never knew she had during a hostage situation. This interview originally aired on Nov. 6, 2017. "This book came originally as a gift. I woke up one night, the quintessential get-out-of-bed-write-in-a-notebook kind of moment. A combination of things had been rattling around in my brain for a while. It was partially this idea of protection in a family and protection amongst the people you love, and particularly protection in a totally unforeseen and terrifying situation. What would I do? How would that affect your identity going forward?" "Veda arrives in New York from Vancouver after she's been able to extricate herself from a difficult family situation. It's supposed to be a fresh start for her. But only a few weeks after her arrival, she boards a city bus and is taken hostage by a gunman. This is a person who is out of touch with reality, has delusions and thinks that he's actually being helpful. That was something that ties into the rest of the story, where Veda is coming from at home. Her family situation, and her relationship with her brother, has given her a lot of difficulties throughout her life. He has his own violent tendencies, not to the extent of hijacking a bus or anything, but he's someone who gets into fights and does petty crimes and ends up in jail for a short stint." "Veda has always tried to protect and take care of [her brother], so she gets into this situation trying to protect other people on the bus. I think it was interesting to put Veda in the situation that she's in during the hijacking because she's someone who sees herself as a somewhat cowardly person. Then she's thrust into this role of being, not just active, but to some people's interpretations, heroic. That is a moment of fracturing her identity because the way she's seen herself and the way she's interacted with her family and friends her whole life is suddenly just completely paved over by this one day, this one crisis situation. One of the ideas I was interested in exploring was, 'Can one day be more important than the sum of all of the other days of your life?' Is there something so good you can do, or even something bad you can do, that nothing else you've done matters after that?" Grace O'Connell's comments have been edited and condensed.